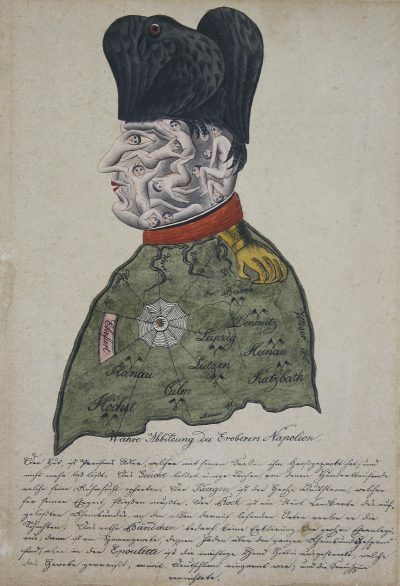 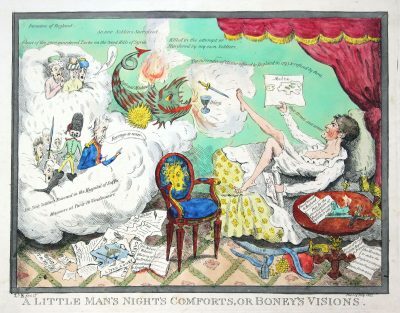 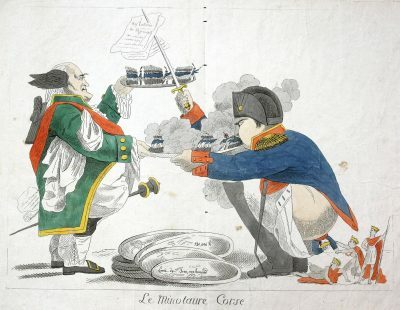 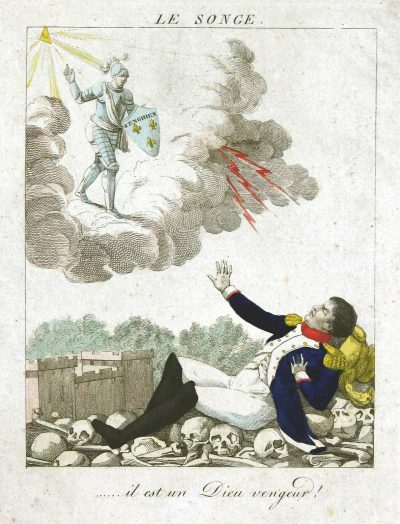 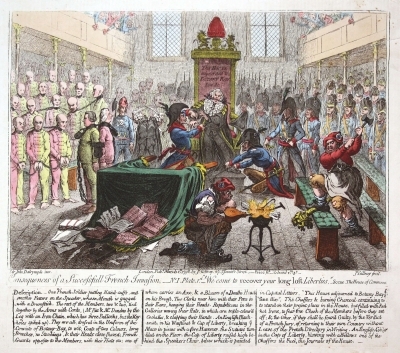 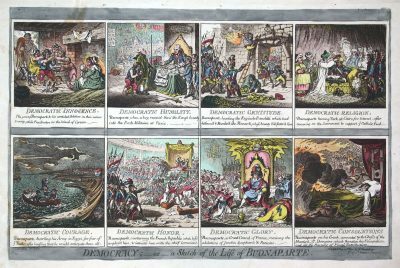 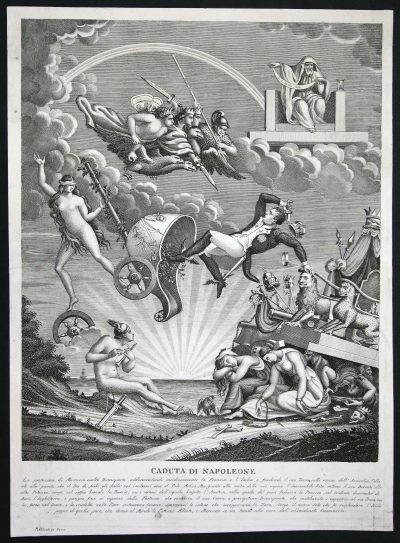 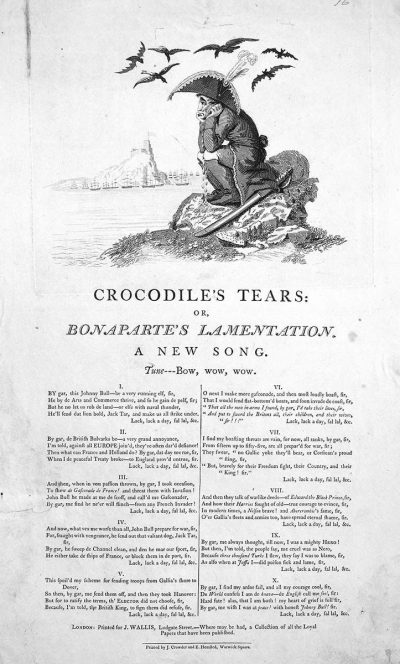 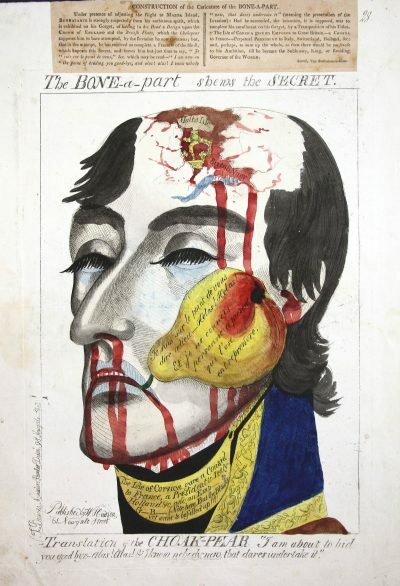 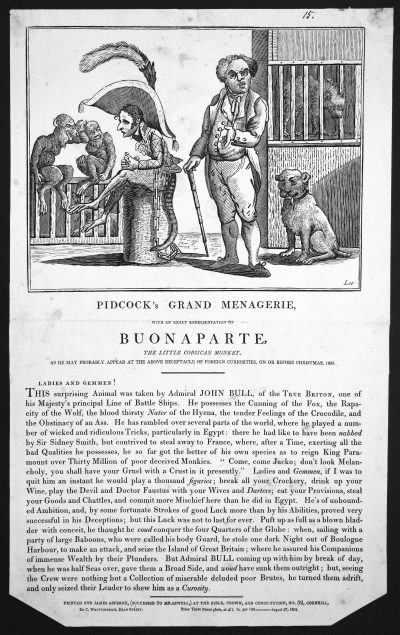 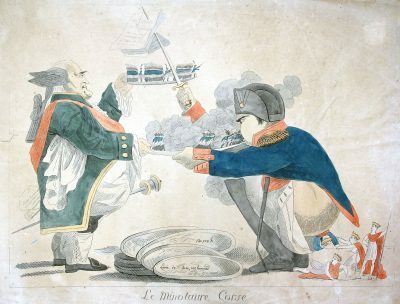 This caricature thematises the British Blockade of Brest in 1803. 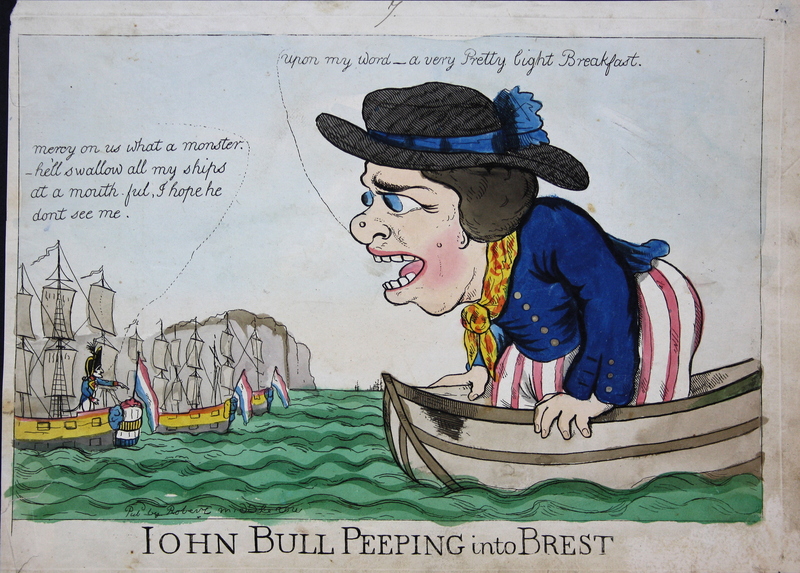 A gigantic John Bull peers at three French ships off the French coast. 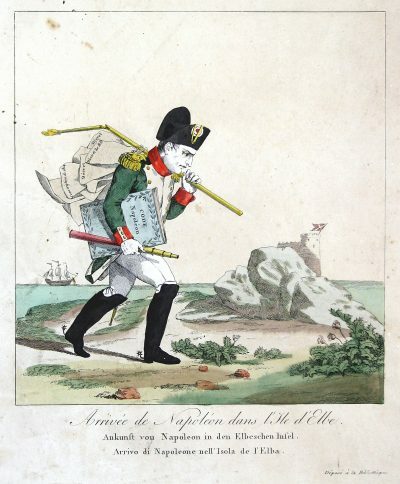 Napoleon stands on the deck of one of them.